Louise Brooks and director G.W. 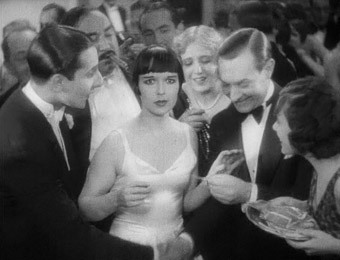 Pabst collaborated on two films in 1929. The first, Pandora’s Box, centres on an enigmatic prostitute who’s both predator and prey to the misogynistic males around her. The second is Diary of a Lost Girl. 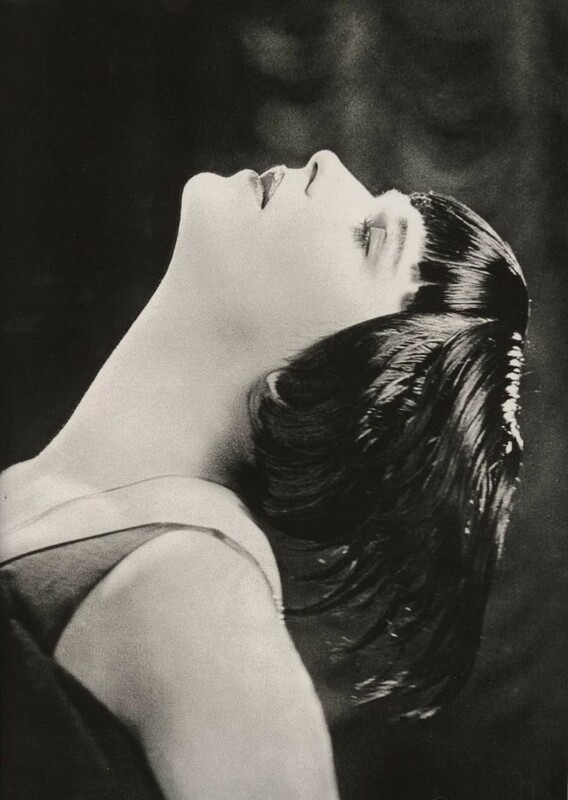 You’ll see the same Louise Brooks in both films—the same iconic body and face, given the same emphasis by Pabst’s dreamy lens. But while Pandora is a philosophical film, asking complex questions about culpability and lust, Diary is merely decorative. Where Pandora uses style to make a point, Diary is satisfied with style itself. 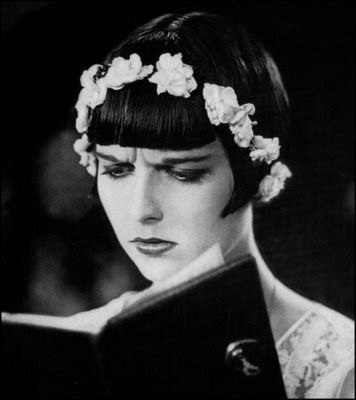 Easy enough when you’ve got Louise Brooks, right? No silent actress had beauty more timeless than hers—more sensual than Bow’s, more adult than Pickford’s, more childish than Gish’s and more approachable than Garbo’s—classic in all periods. But also abstract. That long neck, that alabaster face framed by the geometric, jet-black bob; she looked less like a flapper than a design for one. It’s almost a costume, and in Diary, I think, Pabst wanted to find out how much could be said with that costume alone. Particularly the hair. Brooks’ Thymian Henning is a wide-eyed, blinking innocent. The only daughter (as far as she knows) of a pharmacist (Josef Rovensky), who sleeps with his housekeepers. Her father’s business partner is Meinert (Fritz Rasp), who invites Thymian to a nighttime meeting in the pharmacy, then rapes her. These are the facts of Thymian’s downfall, but it’s the visuals you’ll remember: Rasp’s pointy nose, weak chin and wide mouthful of teeth, making him look like a shark. Thymian, lying slack in Meinert’s arms; her elegant white neck arching over his bicep. The zigzag design of her haircut pointing to her abuser and the dangling locks symbolizing her helplessness. As shallow as it sounds, Brooks’ hair is the barometer of the scene; the symbol of Thymian’s wellbeing. It will be this way throughout Diary. Thymian gives birth to a child and is disgraced, while her father takes up with his latest housekeeper, Meta (Franziska Kinz). Meta is plain-dressed and unadorned. And severe—an underling like the others, but unwilling to bow to him. Like some of Pabst’s other male characters, Mr. Henning balances his lust not with temperance, but with self-hatred—he desires to be dominated and punished. And so he marries Rectitude, who sweeps his life clean of sin without him lifting a finger. His grandchild is sent to a midwife and Thymian to a home for wayward girls. There she meets the hulking, bald Headmaster and his wife: a pair of blatant sexual deviants who run their facility military-style. Thymian and her fellow inmates are reduced to automata, even slurping their soup in unison. The wife leads them in relentless calisthenics routines, more to satisfy her own requirements than theirs, slathering as she watches them. The Headmaster gleefully schedules one for ‘punishment’ in his logbook, before testing out her confiscated lipstick on himself. Meanwhile, the girls climb in bed together and play footsie under the dinner table. Thymian doesn’t partake. Eventually she escapes, thanks to her friend, the nephew of Count Osdorff. The younger Osdorff is a dilettante with no survival skills and now, no money; his stern uncle, the Count, has cut him off until he can find something useful to do. Instead, he hangs out in a high-end brothel, and that’s where he takes Thymian to hide. There she meets a Madame, who sees tremendous earning potential in Thymian, despite her prison scrubs and combed-back hair. The Madame’s own look is remarkably benevolent—that of a grey grandma swimming in comfy fat. When she holds up a pretty new dress for Thymian to wear, we almost believe she has good intentions. Only when Pabst zooms in on her face, and her eyes widen, and her lips smack, do we see her corruption. That’s all it really takes. And naturally, when Thymian reemerges in her new finery, glamour restored, her hair is magically restyled too. Hands also matter in this picture. Meinert’s fingers are depicted as clenching claws, while the Headmaster raps his fingers ominously and clutches his girls by the backs of their necks. Count Osdorff, disciplined and proper, keeps a pair of gloves between his palm and Thymian’s wrist. The Henning family’s benevolent lawyer kisses Thymian’s hand with fervency—not from passion, but to express his absolute faith in her character, after witnessing Thymian turn down her now-deceased father’s inheritance and divert it to her mortal enemy, Meta. Meta, despite having two children with her husband, is left out of his will. One of those children is a little girl with a haircut like Thymian’s. Though penniless through her act of charity, Thymian persists. The elder Osdorff becomes her benefactor—platonically of course—and reestablishes her in polite society. So completely does she leave her past behind that no one suspects her of being a former unwed mother, juvenile delinquent, runaway, or prostitute. She even joins a committee of bored socialites who oversee the very juvenile facility she once lived in. And so Thymian has a chance to visit the Headmaster once more, and influence the success of his horrible little prison. Will she do right by the other lost girls? Probably, yes. And more importantly, will she look good doing it? Click here for my post on Pandora's Box. Diary of a Lost Girl is available on DVD courtesy Kino International. Fantastic film. Brooks is beautiful in it - not just the typical starlet beautiful, but walking sculpture beautiful. It is a work of art from start to finish, even with the unfortunately sanitized ending. Hi. Just wanted to say I really like your blog. 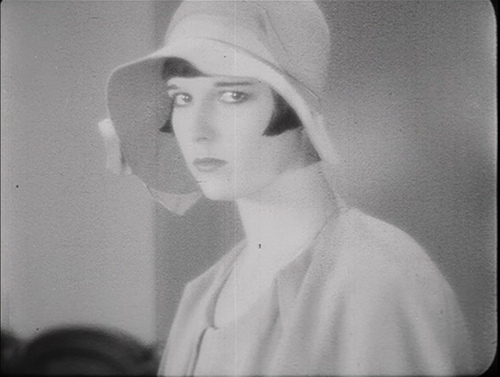 I don't know much about silent film, but I've written about a few in my film blog (click on my name). Watching them on YouTube isn't the same; they need to be seen live, I think, and I was lucky enough to see some good ones this year. YouTube is a terrible introduction to these films, due to its picture quality. But I'll admit to discovering a few obscure silents that way... anyone who's a big enough fan to watch an obscure silent film is usually a big enough fan to upload it, too. Thanks J. I'd have liked Diary better if I hadn't seen Pandora's Box before it.